'Discover' is a great action word for boys who are learning. And ‘possibilities’ suggests a lifelong journey full of wonder and awe. 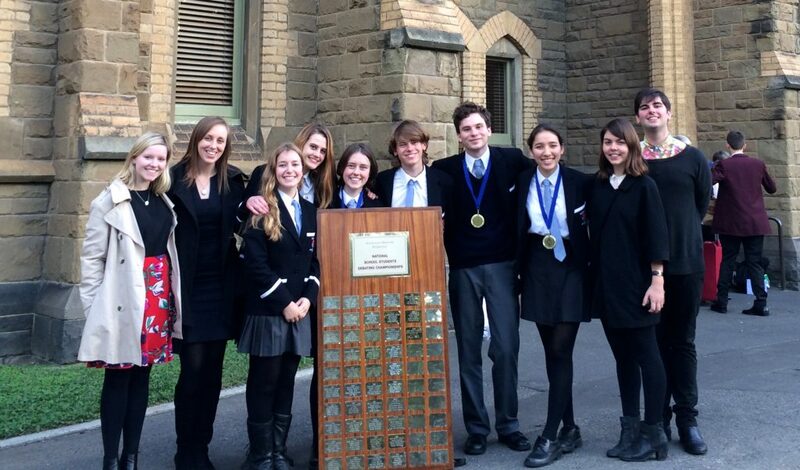 Team NSW at the National Schools Debating Finals in Victoria. Sebastian Rees (ON 2014) was the first speaker on the NSW team that won the National Debating in Schools Finals in June 2014. Seb was one of six squad members chosen from a pool of the state’s top 100 debaters to represent NSW at the Nationals held in Victoria. NSW won the Grand Final with a four to three split. Coach Joanna Connolly said Seb was, “In no small way responsible for the NSW win”, being rested only once during the whirlwind tournament of nine debates. Seb was also a member of the AAGPS Representative Debating Team. Then year 11 student Cedric Koh represented Australia in the nerves-of-steel game of Chess at the 2015 World Youth Chess Championship (WYCC) tournament in Porto Carras, Halkidiki, Greece. This success was a continuation of earlier triumphs when Cedric won the NSW U18 Junior Chess Championships in 2014 and went onto compete at the World U18 Chess Championships held in Durban South Africa in September. He was chosen as the “Primary Selection” or highest ranked for Australia. In 2015, Callum Lowe-Griffiths competed at the Pan Pacific School Games in Adelaide in November. He competed with other Newington representatives, Christopher Mina, Jack Xu and Jason Hartill. More recently, Callum captained the 2016 Australian Youth Lifesaving team that participated in the World Championships held in The Netherlands. Captain of the Newington College Swim team, holds up trophy at the 2016 AAGPS Swimming Carnival. Down at Bondi in 2014, Newington swimmer Callum Lowe- Griffiths was the winner of the Elite category in the Bondi Splash n’ Dash. Callum crossed the line at 23 min 16 sec after completing a 2 km run – 1 km longer than the standard race – a 1 km swim and a 1 km sprint. At only 15 years old, he turned up at Bondi and blew everyone away. He was only meant to race in a team for Engine Swim Australia, but decided at the last minute to have a crack at the main event. At the Australian Schools Swimming Championships in Adelaide in early 2014 Callum competed in ten age group individual events winning two (200 m Freestyle, 400 m Individual Medley), finishing 2nd in five events (200 m Individual Medley, 200 m Backstroke, 400 m Freestyle, 100 m Backstroke, 50 m Backstroke) and 3rd in one (100 m Freestyle). He was also part of the NSW Medley and Free Relay teams that both finished 2nd. In 2016, co-captains, Callum and Benjamin Tran led the Newington Swim team to victory at the AAGPS Swimming Carnival winning three out of the four premierships on offer (Juniors, GPS Relays and Seniors). Makuach Maluach represented the New South Wales team with fellow Newington boys Grant Anticevich and Jaidyn Goodwin at the Australian Schools Sport National Championships this year. New South Wales won and Makuach and Grant are both selected in the Australian Schoolboys team touring the USA later in the year. Earlier in the year, Makuach was selected to represent the NSW Country U18 team and the Australian team at a Nike NBA camp to China for being one of the top 10 most talented players in Australasia. Makuach plans on playing Basketball in the USA one day while pursuing further studies in Geography - his second passion after Basketball. John was the recipient of the Old Newingtonians' Union Centennial Trust Award in 2016. A grant which will go towards John's dream to become a conductor. John Keene has been playing the double bass since the age of seven, when in a string program at Wyvern, he was given the instrument to learn simply because he was the tallest in his year! 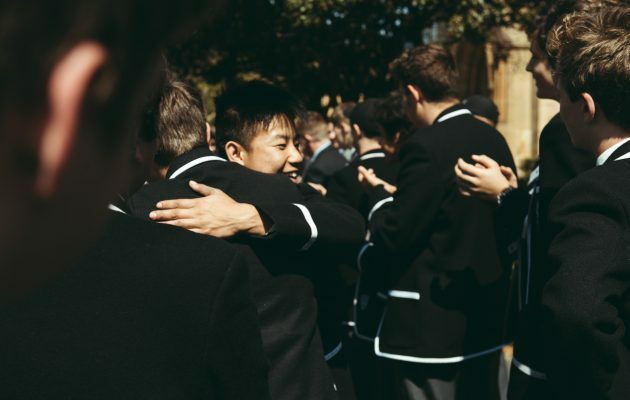 Awarded an organ scholarship at Newington in 2013, he has since played organ, studied Higher Level Music in the IB, where his overall score was 44 out of 45. In 2015, he was awarded a Sydney Symphony Fellowship.